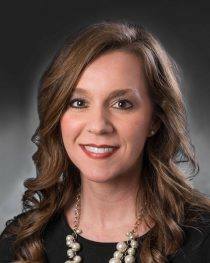 Rebecca Gray, clinical instructor, School of Nursing, has been named to the 2019 Arkansas 40 Nurse Leaders Under 40 by the Arkansas Center for Nursing. This recognition identifies, celebrates and encourages exemplary dedication and leadership in the nursing profession. Recipients are selected through a highly competitive nomination process that focuses on their commitment to excellence, leadership qualities, service and outreach within their community, and commendable contributions to the advancement of the nursing profession.